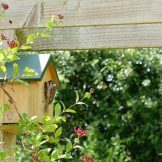 Throughout the caring conversion of Millsyde, we’ve watched the wildlife, delighted in the birdsong & been soothed by the peace of the place! We love it & hope you will too! 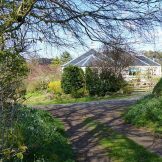 Snuggling into a blissfully peaceful corner of our family farm above the Eden Water, where you can escape the rest of the world, yet be five minutes from Kelso! The easy access, level entry hall leads to sociable space in the kitchen, there’s lots of room for every-one to gather! Cooks will enjoy the Range Master cooker, with a 5 ring induction hob, two ovens & grill, backed up by the dishwasher! 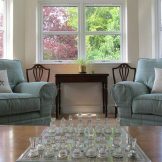 The light, bright sitting room offers more room to relax, perhaps by the glow of the wood burner in winter! 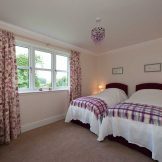 Two of the bedrooms can be set-up with twin or super-king beds. 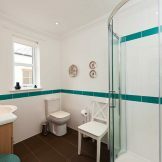 They share the family bathroom which has a double ended bath & double headed shower. 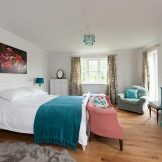 The master bed room has a king-sized bed and en-suite shower room. The scullery has space for a dog’s bed, as well as the washing machine, tumble drier & pulley. 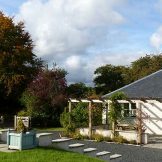 Warmed by central & under floor heating, a wood burner & solar panels, Millsyde is comfortable & cosy throughout the year! The boot room & secure double garage are handy for storing fishing rods, bikes and golf clubs, and the table-tennis table. 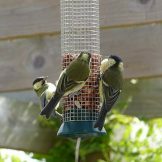 There’s more room to relax in the garden, with just the songs of the countryside for company! 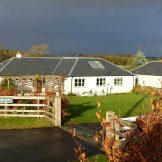 Our week's stay at Millsyde Cottage was the best we have ever had, and we have stayed in dozens of cottages throughout Scotland over the last fifteen years or so. Large, airy, comfortable, clean, exceedingly well-equipped and appointed, we couldn't have wished for better. Sue was a wonderful host, for whom nothing was too much trouble to make our stay memorable. The welcome gifts were to die for! We will be booking again shortly for two separate weeks for next year….. I cannot praise Millsyde highly enough. 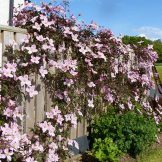 We entertained our friends there, and the quality of the accommodation and the thought and care that went in to making this a real 'home from home' was quite outstanding. I am only concerned that when word gets out and everyone books and rebooks - we may struggle for regular slots! A big thank you to Sue, who couldn't have been more helpful. … wonderfully equipped kitchen, huge stack of games for a rainy day. I am incredibly fussy about beds and pillows and Sue has got it right as they were perfect and so comfortable. We certainly look forward to returning in the future. A true home from home. You have to see Millsyde to believe it. 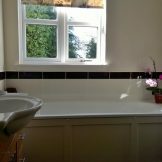 The online photographs show you a high standard, but what they don't capture is how beautiful each of the rooms are......the attention to detail ...... and the thought put in by the owner, so your every whim is satisfied. 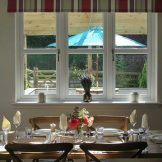 Millsyde still has the wow factor, it is beautifully decorated and so well equipped. It really does have everything you could need and the most comfortable beds. We made the most of all the extras including the eggs that had been left (including chocolate eggs) and the cards and board games. 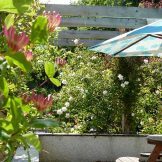 Having level access and all accommodation on one level meant Millsyde has been perfect for my partner in his wheelchair. 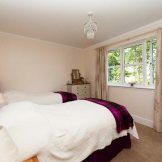 There was plenty of room to get round the house, in the bedrooms and en-suite which makes life so nice and easy. We can’t wait to return and have recommended it to friends, family and work colleagues. Go! You won’t be disappointed!! 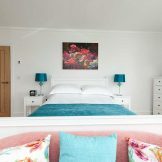 Luxurious and comfortable in the extreme, Millsyde is set amidst the peace and tranquillity of the fantastic Scottish countryside, yet only a good five minutes from a major supermarket and a delightful small town. We have spent many years holidaying in the best Scottish Cottages have had to offer, but nowhere has ever come close to Millsyde. We will definitely be back. 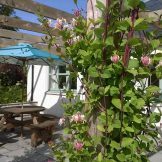 Millsyde is a gorgeous, comfortable place to stay with loads of space, everything you can need and great for a family group! The welcome we received form Sue both personal and treat-wise started the week off perfectly. 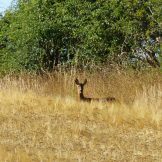 The wealth of nature on the farm and in the surrounding area were really enjoyable on our daily walks!